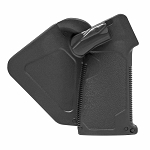 AR-15 Break Action Mag Release-- You will NOT notice the blemishes guaranteed!!!!!! Special designed magazine release for the Ultra Ignorant Gun Laws of California. This Mag release will not allow you to release your magazine while the upper is mated to the lower receiver. ( WTF!! WHY ??? I know right?? 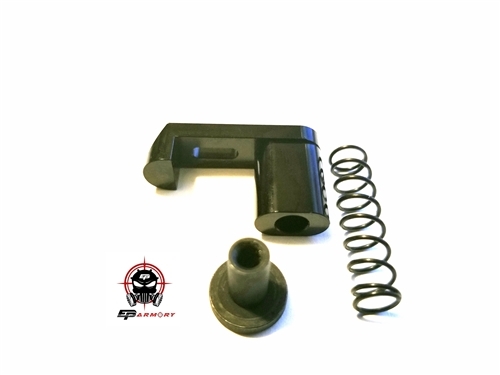 California gun laws are insane...) So any ways once you release your take down pins and remove the upper receiver from the lower receiver, with this super awesome product, you will be able to then use the mag release in a normal fashion... So if you absolutely must live in California and you really want to own an AR-15 then this product is for you! California compliant mag release solution to the incredibly restrictive gun laws of California.. STAINLESS STEEL SERIAL NUMBER PLATES 1/4"X1" X 16TH"